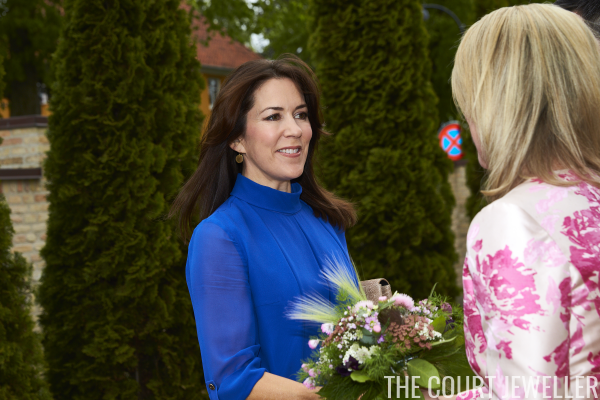 Crown Princess Mary is in Copenhagen this week supporting the Women Deliver conference. According to Women Deliver, they're "a global nonprofit organization advocating for better health, rights and well-being of girls and women worldwide" -- definitely a great cause for royal patronage! On Sunday, Mary attended a reception at the Australian ambassador's residence in Copenhagen for the Australian delegates to the conference. 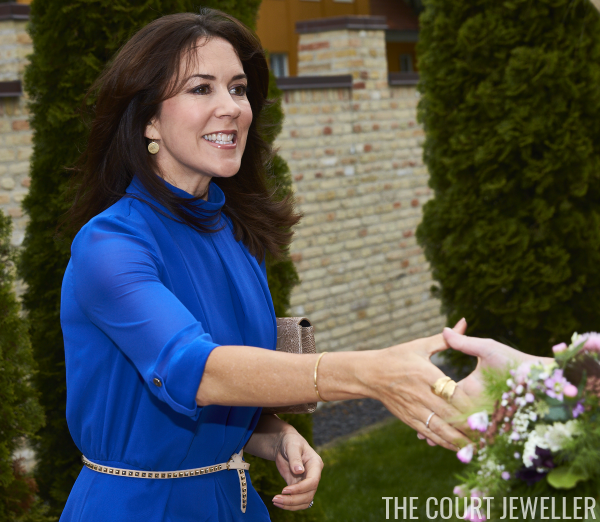 She paired gold jewelry with her blue dress for the occasion, including earrings with disk-shaped pendants, a bangle bracelet, and several rings. Here's a better look at the earrings and the bracelet. I think the bracelet is studded with small white gemstones. On Monday, Mary gave an address at the opening of the conference. 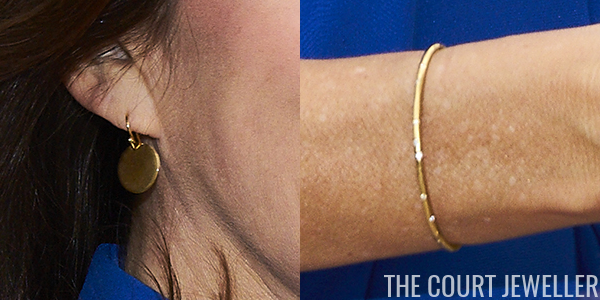 She wore statement earrings set with yellow and blue stones; we also got a good look at her engagement and wedding rings. The pin attached to Mary's jacket is the logo for the United Nations's Global Goals campaign. The Women Deliver account on Twitter also gave us a small soundbite of Mary's message during her plenary address.